Who really cares, to save a world in despair? I was born and have lived my entire life in the cesspool of hypocrisy that is the Bible Belt—where conservative Republicanism and Christian values are thin veneer for hatred, bigotry, sexism, gun-lust, and enduring racism. That hypocrisy failed me and then as a young adult and throughout my life I have been taught critical love and kindness by great writers and thinkers: Kurt Vonnegut, Eugene V. Debs, Alice Walker, Toni Morrison, Langston Hughes, and the greatest witness of all, James Baldwin. With the election of Donald Trump as the U.S. president, the entire nation has before it this reality: Trumplandia confirms that the Republican Party, Christian Right, and white America have abdicated all rights to any moral authority. Trump’s Republicanism is directly in line with Reagan Republicanism. The only real difference is Trump’s outlandish and brash admissions aloud of the very worst of the Republican Party, such as calling Mexicans rapists and murderers. Traditional Republicans only hint at such. For eight years, Barack Obama and his family—despite a history of being practicing Christians, despite Obama himself offering several eloquent and Christian speeches and hymns in times of tragedy, and despite Obama and his family living essentially good (read: Christian) lives—the Christian Right, and Trump, have refuted Obama’s Christianity and used accusations of his being a Muslim as a slur. Yet, Trump’s hedonism, adultery, sexual assault, profane discourse, hate speech, sexism, and rapacious behavior as a business man and pseudo-billionaire , for the Christian Right, prove to be just fine. Trumplandia has exposed there is nothing “Christian” or “right” about the Christian Right. As expected, Trump did best among white voters without a college degree, beating Clinton by the enormous margin of 72 percent to 23 percent. Trump also won among white, non-college women 62 to 34 percent and white college-educated men, 54 to 39 percent. Among white voters, Clinton only won among women with a college degree by a 51 to 45 percent margin. Interestingly, among white voters, there is no evidence in the exit poll that income affected the likelihood that they supported Trump. Both sets of exit data from CBS and NYT, then, suggest that Trump’s support has more to do with race than disgruntled working class whites being ignored and disenfranchised. Actually, mainstream media has its argument backward because Trumplandia confirms that white America has abandoned commitments to equity for all—not that any political party or the U.S. government has abandoned white America. 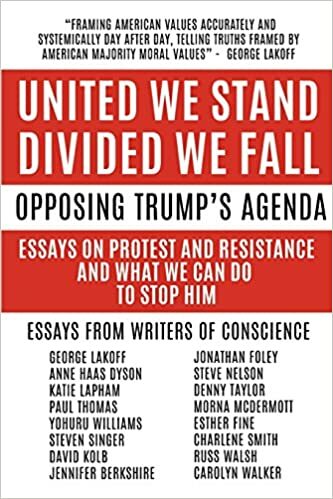 The ultimate problem with the suffering working and middle class white argument for Trump’s rise is twofold: (1) white suffering may exist, but by comparison to black/brown suffering and gender suffering, white suffering remains relatively less significant, and (2) if whites are hurting, that fact should have spurred solidarity with historically marginalized groups, not the antagonism being heard from white America. If white America ever really believed in the melting pot, believed in a country of immigrants, believed in equity for all, that may have existed in some distant and idealized past when white America saw that pot melting disparate whites into one homogenous white: equity for all who look like us (white). 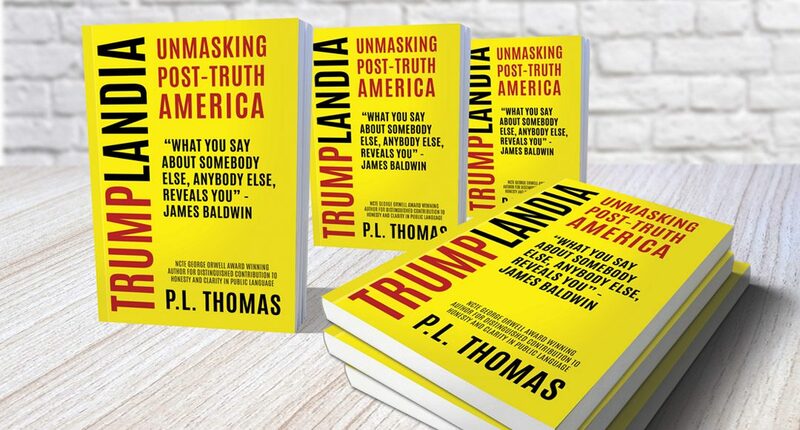 Trumplandia is a white response (whitelash), not from working and middle class suffering, but against rising demands by oppressed groups (#BlackLivesMatter, Colin Kaepernick, gender neutral restrooms, marriage equity, immigration reform, etc.) for equity for all. The only thing whites are poised to lose is their unearned privilege, but the rise of white support of Trump confirms that whites see their privilege as more important to preserve than equity for all is to attain. “Make America Great Again” is slogan-as-code for maintaining white (and male) privilege. Trumplandia is a defiant “Not us” from white America—and efforts to whitewash that callousness as economic angst is further proof that the dirtiest word in the U.S. to utter is “racism” because of the delicate sensibilities of the most powerful people in the country. I love the charts and receipts to make your point. Excellent post.